Is your bathroom looking a bit dated or no longer meeting your needs? You may be looking at options to replace your shower or bath, but been a bit taken aback at the expense. 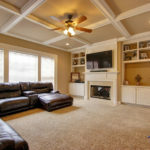 Pulling everything out of your bath and doing a complete replacement is not your only option — express replacements and refinishing also offer some benefits that you should take into consideration. 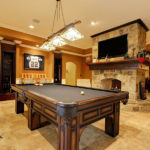 Here are some suggestions for helping you determine whether a replacement is in your future or if refinishing would provide you with similar results. Resurfacing your bathtub or shower is a purely “temporary fix” — similar to changing your nail polish in nature. While this may provide you with an inexpensive option that gives immediate benefits, you may find yourself looking for another fix in a very short period of time. In addition, the chemicals that are used in reglazing or resurfacing your tub and shower can be quite toxic to your family. If your bath or shower have some minor damage, you may find that this is a good option. Extensive damage cannot be easily covered through these cosmetic methods. You’ve probably seen drop-in tub liners, which on the surface appear to be a viable option for your bathroom refresh. This thin layer of acrylic or other material simply covers the damage that has already happened and doesn’t solve the underlying issues. You won’t be able to fundamentally change the way your bathroom looks, and tub liners are a relatively expensive option for your bathroom refresh. The entire process of obtaining and installing a liner can take upwards of 8-10 weeks, as a professional will first need to visit and take measurements before the liner can be manufactured separately. Replacing your bathtub or shower doesn’t have to be an overwhelming expense with Bath Express replacements. This type of replacement means you’re not simply covering deeper issues with a cosmetic fix — this option includes stripping existing showers or tubs down to the studs and adding a scratch- and crack-resistant product that has an exceptionally strong shower pan to resist future damage. What’s better is that you can address more extensive changes such as adding a grab bar, low thresholds and more. Installations are often completed in only a few days, based on your schedule. When you’re only fixing a few minor scratches, you may find that a refinish is acceptable. Anything beyond that limited damage will require a more extensive project. Why spend weeks waiting for what is essentially a cosmetic change with a liner? Opt instead for a Bath Express replacement — the cost-effective option that can be completed in only a few days. Ready to learn more? 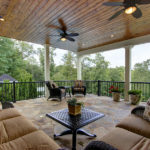 The aging in place specialists at Quality Craftsmen help families through out the East Cobb area find the perfect solution that will meet their changing needs well into the future. 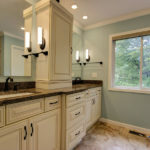 Contact Quality Craftsmen today at 404-483-7446 or visit them online to view their full gallery of options for your bathroom and home renovations.